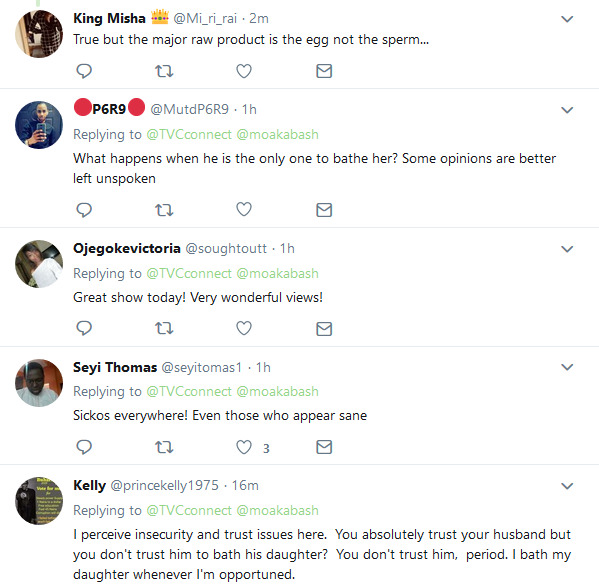 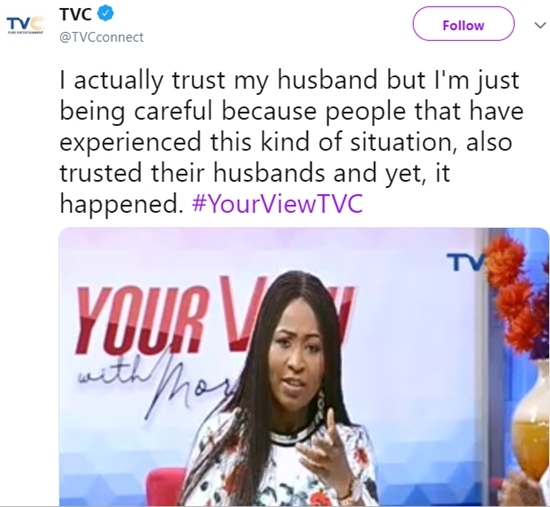 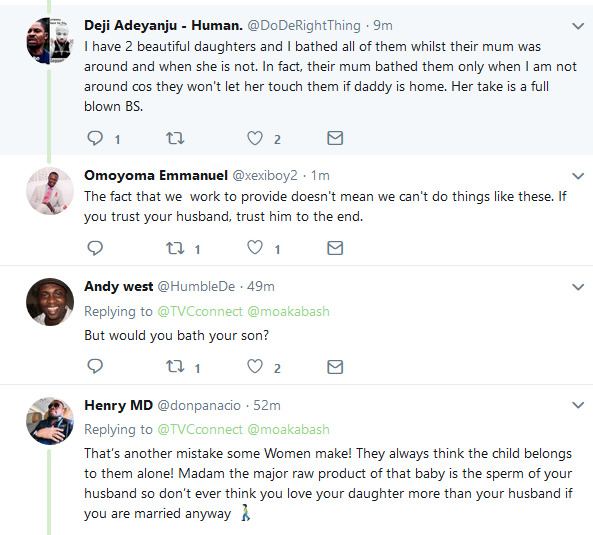 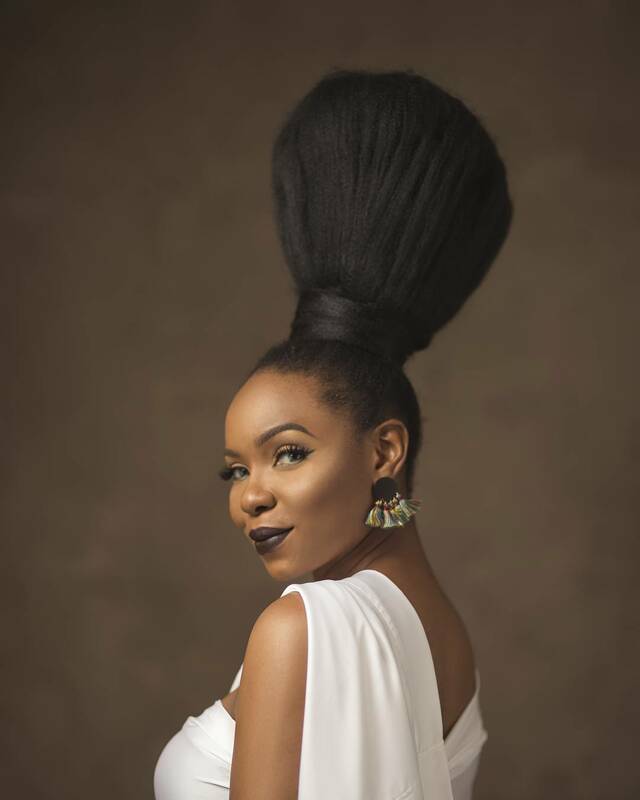 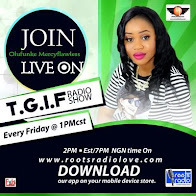 While speaking a television programme, "Your View" on TVC, popular presenter and show host, Morayo Akabashorun, on Wednesday morning, said that even though she trusts her husband so much, she will never take chances allowing him bath their daughter. 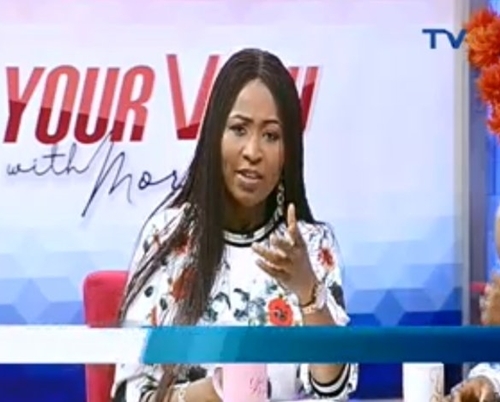 According to Morayo, her decision was as a result of her fear on the rapid increase of s*xual assaults on little girls which in some cases is being carried out by their fathers. 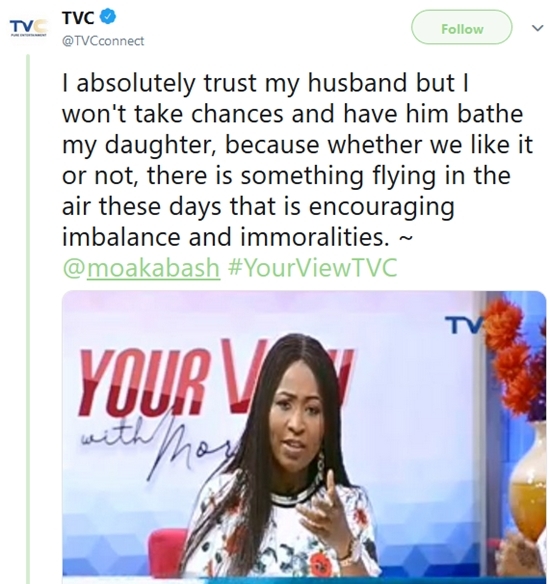 Morayo and her other colleagues were having a discussion onsexual abuse viz-a-viz the relationship between father and daughter and if boundaries should be set in this kind of relationships.